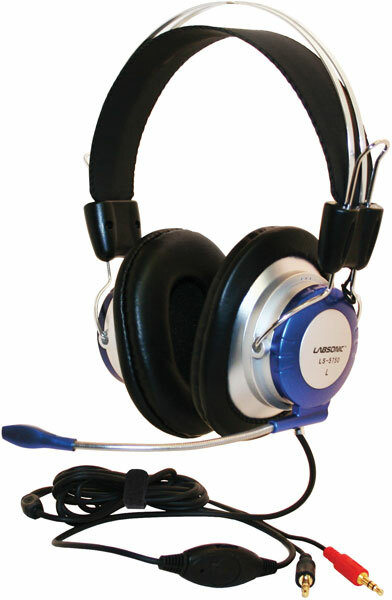 The Labsonic LS5750 Deluxe Stereo Headset is built to withstand the rigors of classroom use, with stereo audio quality that rivals high-end consumer models at a fraction of the cost. High-quality sound is produced from the 57mm drivers that create well-defined treble and deep bass response. 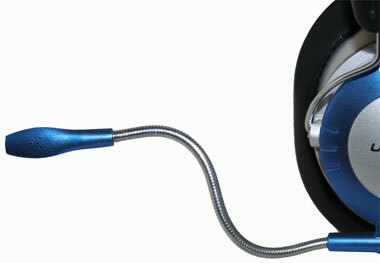 The headset also features a flexible metal boom mic with noise-cancelling circuitry to reduce external sounds when speaking into the microphone. Adjustable headband is comfortable for students of all sizes, and around-the-ear leatherette earpads provide comfort and reduce outside ambient noise. 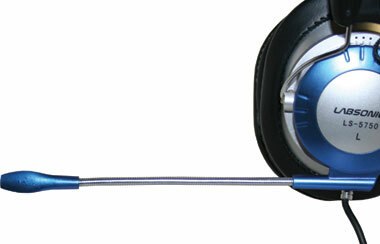 Cable features inline volume control and two gold-plated 3.5mm stereo plugs (one for the headphone and one for the microphone), and works with any computer or boombox with both a headphone and microphone 3.5mm input jack.